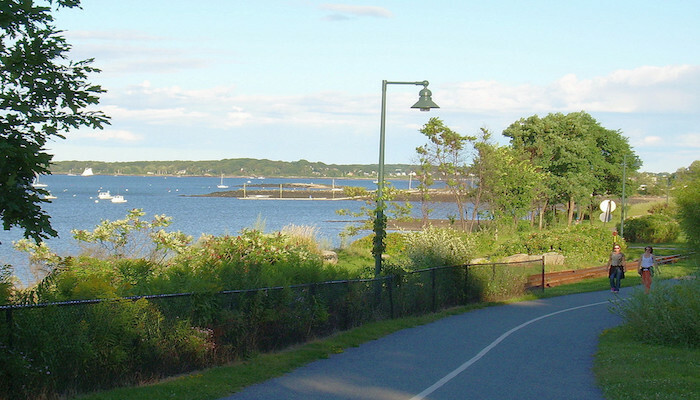 Congress St. stretches nearly 5 miles from Portland’s southwestern border through a number of neighborhoods before ending overlooking the Eastern Promenade on Munjoy Hill. It’s a good way to anchor a run in Portland. Our route trail at Booklawn Memorial Park, the westernmost most part of Congress Street. Congress Street provides a glimpse of office buildings intermingled with historically preserved buildings such as the Wadsworth-Longfellow House, the 19th century childhood home of the poet. 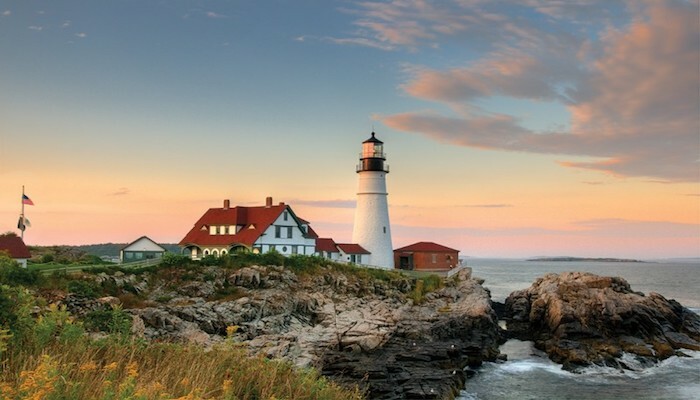 This route also passes the Stroudwater River Resevoir and Fore River, which separates Portland and South Portland. 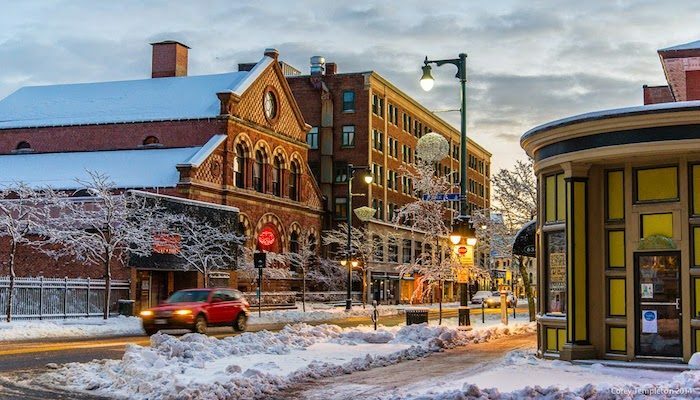 Some side jaunts off Congress St. include Deering Park and University of Southern Maine campus (3-mile mark), Western Promenade, and some of the lovely, small streets of downtown Portland. Booklawn Memorial Park or any point along Congress St.